Versatile drilling and chiselling tools, capable of drilling up to 66mm depth in concrete and chiselling lightweight demolition. 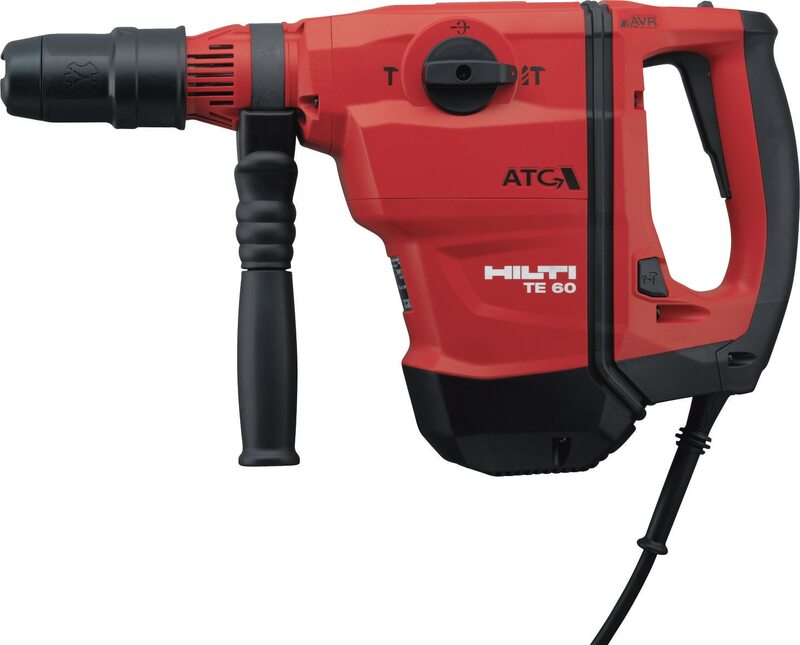 ATC (active torque control) switches the tool off immediately in potentially dangerous situations when the drill bit sticks. AVR (active vibration reduction) cuts vibration, making the tool less tiring to use and more productive. Very high drilling performance. Robustly built for greater durability. Smooth drilling from electro-pneumatic principle.